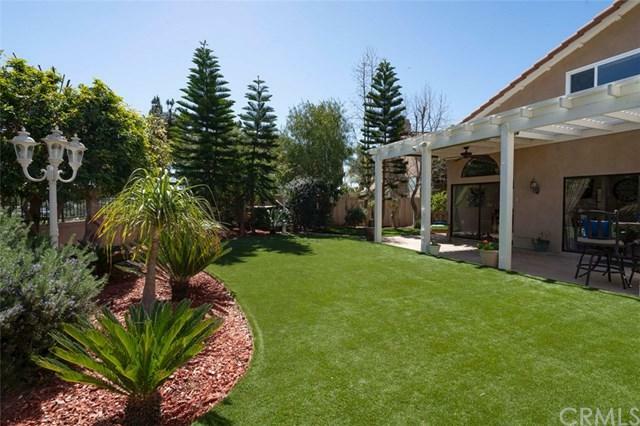 24962 Golden Vista, Laguna Niguel, CA 92677 (#300968731) :: Ascent Real Estate, Inc. Coveted rare pie shaped, private hill and city light view lot on single loaded street in Rancho Niguel! 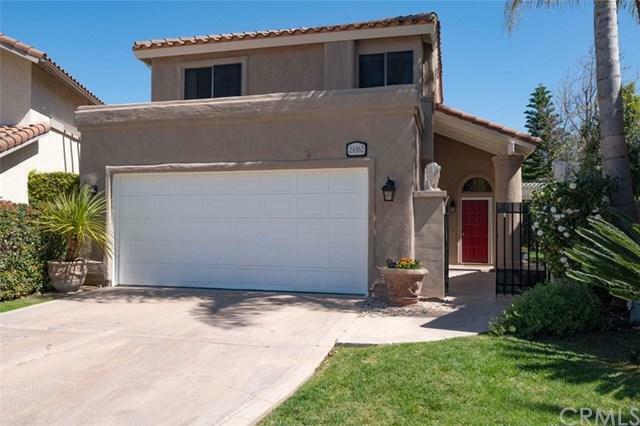 Mediterranean style 3 bedroom + loft home with stained concrete driveway and enclosed front patio. Light and bright living room with wood laminate floors, ceiling fan, cathedral ceilings, recessed lights and adjoining formal dining room! Separate family room with desert quartz brick fireplace! 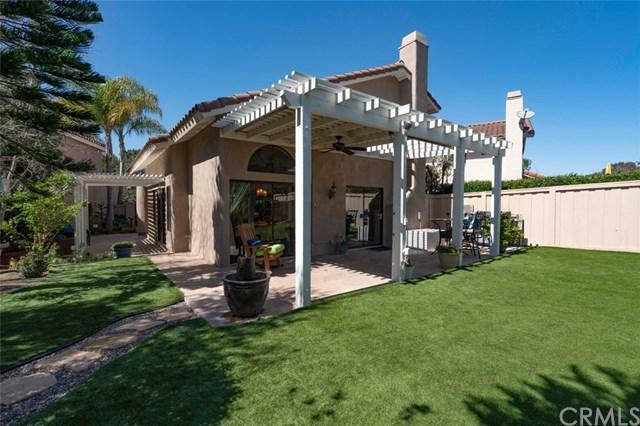 Triple slider doors in family and living rooms with views of gorgeous wrap around patio and lush landscape - fe Coveted rare pie shaped, private hill and city light view lot on single loaded street in Rancho Niguel! 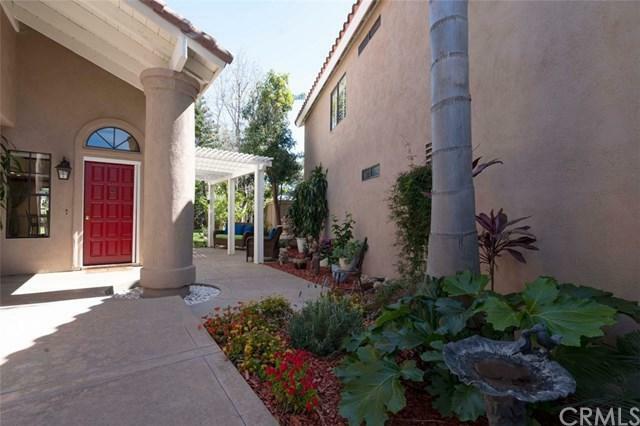 Mediterranean style 3 bedroom + loft home with stained concrete driveway and enclosed front patio. Light and bright living room with wood laminate floors, ceiling fan, cathedral ceilings, recessed lights and adjoining formal dining room! Separate family room with desert quartz brick fireplace! Triple slider doors in family and living rooms with views of gorgeous wrap around patio and lush landscape - feels like living in a garden! Remodeled kitchen with upgraded stainless sink and appliances, granite counters, cherrywood cabinets with tons of space, glass tile backsplash, wine rack, walk-in glass door pantry, 18" ceramic tile floors, recessed lights and breakfast bar! Master includes two closets, ceiling fan, new dual pane window, dual vanity and large remodeled walk-in shower! Added loft is perfect for play area or den. Garage with epoxy painted floors and plenty of storage. Rear yard is a gem and great for entertaining. Wrap around covered patio with ceiling fan, synthetic easy maintenance but lush green lawn, mature landscape, above ground spa nestled in a romantic corner setting, two fountains, extremely private and with stunning views of the hills! HOA includes membership at The Club at Rancho Niguel with 2 swimming pools, spa, gym, racquetball and basketball courts, baby pool, playground, soccer field, volleyball & tennis, plus banquet facilities!